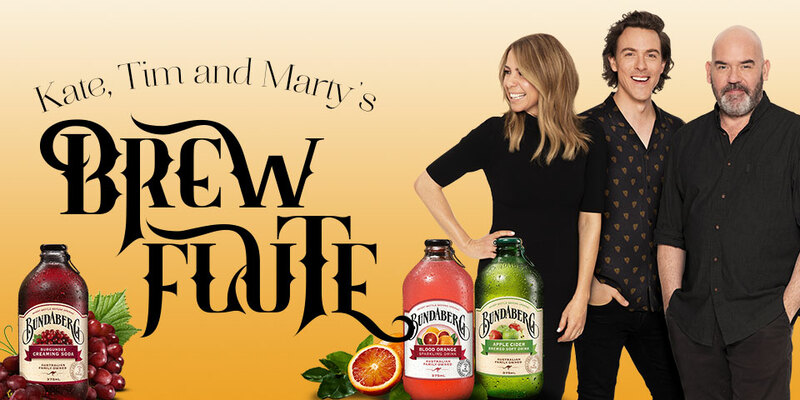 Kate, Tim and Marty know that Bundaberg Brewed drinks are the best call this summer and to celebrate they’re giving away a huge 2K cash each day! To WIN – all you need to do is correctly guess Kate, Tim and Marty’s Summer tune playing from the brew flute and the cash is yours… easy! Get it wrong though and they’ll move onto the next caller! Simply register your details below and you could be getting a call from Kate, Tim and Marty. Good luck!